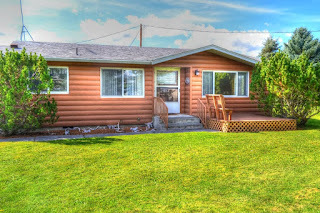 2 bedroom home for sale on 3.88 fenced acres approximately 50 miles from Jackson Hole, Wyoming. Close to hunting, the Palisades Reservoir, and world class fishing on the Snake River. This house has been recently remodeled with a new bathroom, newer carpet, paint, furnace, water heater, and maintenance free steel log siding. There is a large 30X60 shop on the property that is currently rented out for $250 a month. As an added bonus the home has additional insulation, energy efficient thermostat and furnace that contributed to this retirement or vacation home in passing a recent energy audit with flying colors. 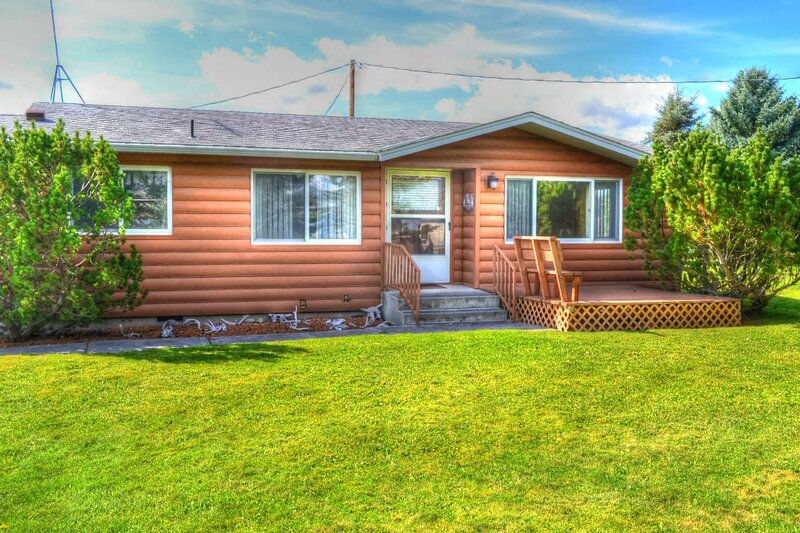 Enjoy amazing views in all directions with this property located in beautiful Sawn Valley, Idaho. Contact Idaho 1st Class Properties at (208) 681-0932 for more information. Priced at $164,900.